Growing up in the 80’s, I have vivid memories of the environmental lobby group, Greenpeace. Perhaps I was young and impressionable, perhaps I was simply passionate about nature and the environment, but for me, there was something about Greenpeace that I found awe inspiring. Often controversial, often unconventional, Greenpeace showed raw passion in everything that they lobbied for, be it toxic waste, nuclear power, fur seals, oil giants or anti whaling campaigns. I saved up my pocket money and joined the movement. Now an international player, Greenpeace continues to be the number one environmental protection group globally. I still follow their campaigns and support their movement. For me though, Greenpeace, has, to a certain degree, lost it’s shine, lost it’s passion. In 2011, Greenpeace lost a court appeal to retain their charitable tax status in New Zealand. It seems that legally, at least, they are viewed as a political lobby group. A sign of the times. Perhaps battered down to conformity. I cast my mind back to the 80’s. I really thought I could make a difference to the world, I still do. Greenpeace on the other hand seems to have moved on. Increasingly there are environmental issues that need to be highlighted. Sometimes, there is no substitute for direct, unconventional, perhaps radical, confrontation of these issues. The issues which our planet faces are confronting. For me, addressing these issues head on, if nothing else, serves to highlight the issue. It gets us talking. The more we talk, the better, the profile of the issue is raised and people are more likely to then do something, assuming they feel strongly enough about it. Even if they don’t do anything, at least they know the impact of that too. But wait, the void for me in hard hitting direct campaigns has been filled. I have a new hero and his name is Paul Watson, Captain and founder of the controversial Sea Shepherd Conservation Society. When you sign up to the armed forces, you have to accept that you are prepared to die for your country. 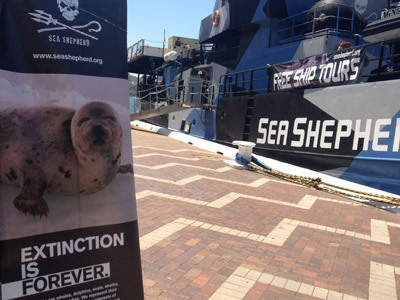 For Paul Watson and his army of loyal crew members, they are prepared to die in the name of marine conservation. Yes, you read it correctly, they are prepared to die. Now that is passion. It sends a shiver of excitement down my spine, it takes me back to my childhood. Never out of the press, this preparedness to die in the name of conservation puts the crew in often life threatening situations, in high seas. Operations have included scuttling of whaling vessels, ramming of vessels, throwing of butyric acid onto whaling vessels to foul the smell of the whale meat, boarding whaling vessels while at sea, cutting long lines, destroying drift nets, the list goes on. Such direct actions have lead many Governments and organizations, including Greenpeace, to label Paul Watson as an Eco Terrorist. Greenpeace’s view, that Paul Watson is a violent extremist. Ironically, Paul Watson’s roots were at Greenpeace. However, he was expelled from the Board of Directors in the late 70’s, for his radical and direct, confrontational methods. Perhaps there is still some bad blood between Greenpeace and Paul Watson. Perhaps Greenpeace have a point. Good on him, I say. I believe in honesty and passion and Paul Watson certainly has these two qualities in truck loads. So what is your view? One thing is certain, and that is, everyone has a view on Paul Watson and Sea Shepherd and views are often polarised. So do you love him or loathe him? 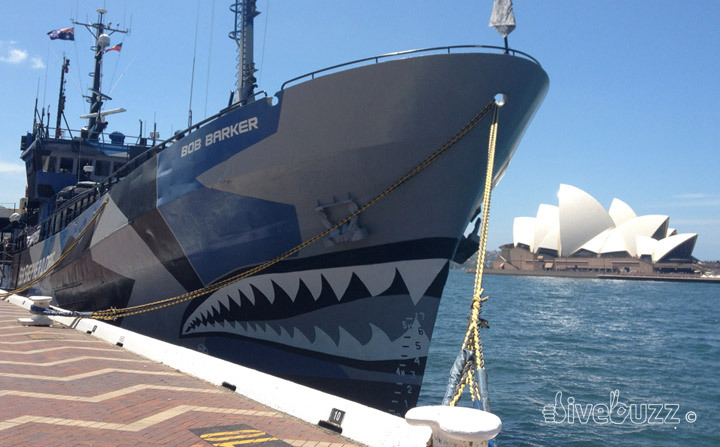 What there is not to love about Sea Shepherd? They are an organization that take care of business using direct action! i definitely admire what they do and I will always support them! Our Ocean needs more people like Paul Watson. ← Diving Sydney - It's a shore thing!